The Public Health Master’s program at UCT accommodates working professionals by holding what is called “Block” scheduling, AKA HELL. For each of your courses, you sit in lectures for 2.5 consecutive days and cover approximately 50% of the course material. Although this dramatically reduces lecture time for the remainder of the semester and enables working professionals, like myself, to do an MPH while working full-time, it is incredibly non-conducive to learning and is an exhaustive exercise. This year, Block was even more hellish than usual, because I had two courses back to back, which equated to an entire week of 8:30AM-4:00PM classes. So you can imagine that by Friday my brain was absolutely FRIED. To celebrate the end of Block, Ty and I had a garden party at our house and invited MPHers from my cohort and this year’s new cohort to unwind and get to know one another. I am not such a big fan of cocktails but rather am more of a wine/beer girl, so when I say Whitney’s Pimm’s Cocktails were totally awesome, you know they are worth it. But beware, they are deliciously deadly! Mix together 1 part Pimm’s, 1 part Gin, and 3-4 parts Lemonade. 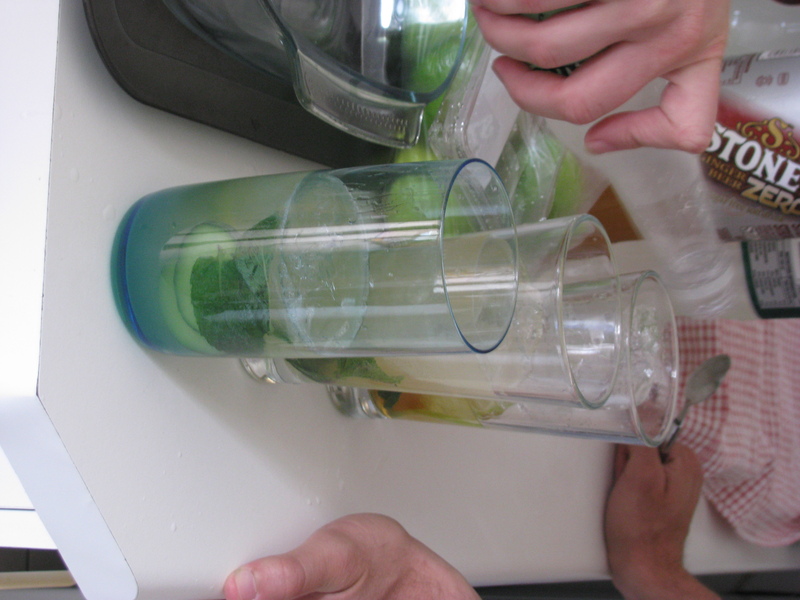 Add a few slices of cucumber and lemon, a few leaves of mint, and mash it all together to release the flavors. 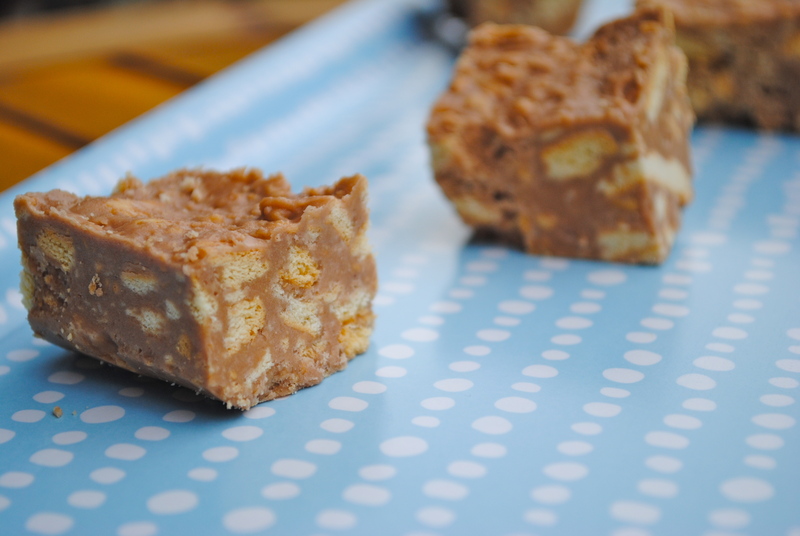 Kirsty’s Chocolate Fudge Squares are a delicious traditional South African dessert with smooth chocolate and soft biscuits in every bite. Place the butter in a bowl and microwave for about 1 minute until melted. Sift together the icing sugar and cocoa to remove the lumps and stir into the butter until fully blended. Beat the eggs and stir into the chocolate mixture. Microwave the mixture, uncovered, for about 2 minutes and stir. Break up the biscuits and stir into the mixture. 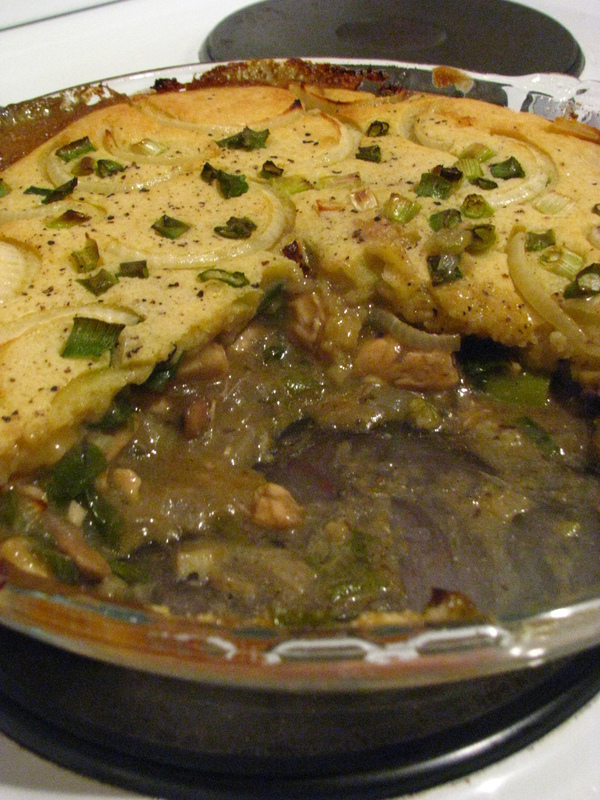 Transfer to a small deep dish, smooth with spatula, and allow to cool. 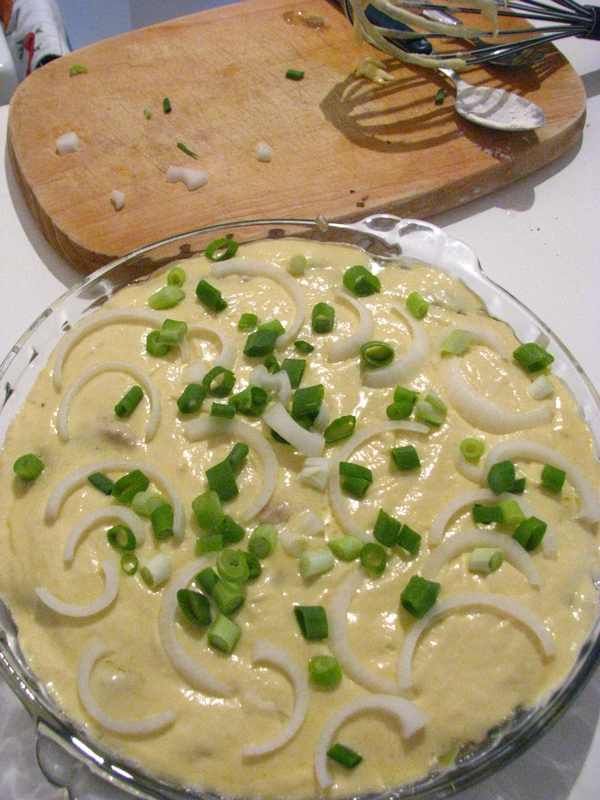 Then place the mixture in the fridge to harden and cut into squares. Kirsty’s Bruschetta, adapted from Jamie Oliver, is a simple yet delicious hor d’oeuvre for a dinner party and was gobbled up within minutes. Preheat the oven to 200C. Spread the sliced bread on a pan. Mix together the garlic and olive oil and then spread onto the bread. Bake the bread in the oven for about 5 minutes. Meanwhile, mix together the tomatoes, basil, salt, and pepper. When the bread is getting crusty, remove from the oven, spread the tomato mix onto each slice, and top with a slice of mozzarella. 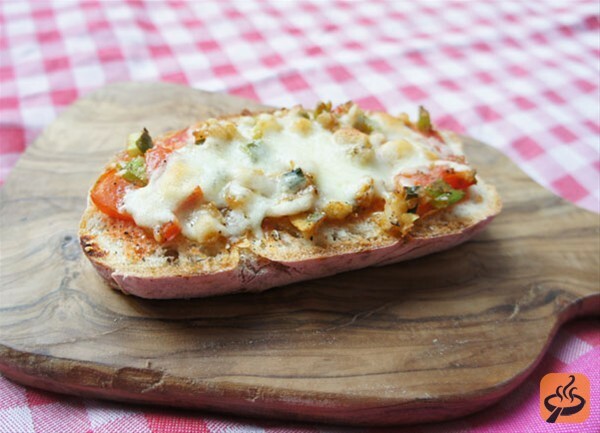 Put the bruschetta back into the oven until the cheese has fully melted and serve while still warm. If you are feeling lazy, you can substitute the tomato-mix for ready-made basil pesto or tomato tapenade. For my contribution, I made a variety of home-made gourmet Pizzas throughout the evening. At one point, I had 5 excited girls standing around me asking questions as I built my pizzas, which was a truly blissful moment for me. I don’t remember where I got this full-proof Pizza Dough recipe but I am completely against buying pre-made bases because of how easy it is to make and the fun-factor of rolling it out to my desired thickness, depending on my mood. Combine flour, salt, sugar, and yeast in a large bowl. Add the oil and warm water, stir a bit, and then remove from the bowl and go wild kneading the dough with your hands. No need to wait for the dough to rise. Roll the dough out, place in a greased pizza pan, and add toppings. Bake at 180C for about 25 minutes until desired brownness. I found the Barbeque Chicken Pizza recipe on The Pioneer Woman’s blog, which was modeled from the California Pizza Kitchen version but even better. Note: You can bake your own chicken directly in BBQ sauce but I used already cooked rotisserie chicken for convenience-sake. Preheat the oven to about 180C. In a bowl, mix together the BBQ sauce and honey. 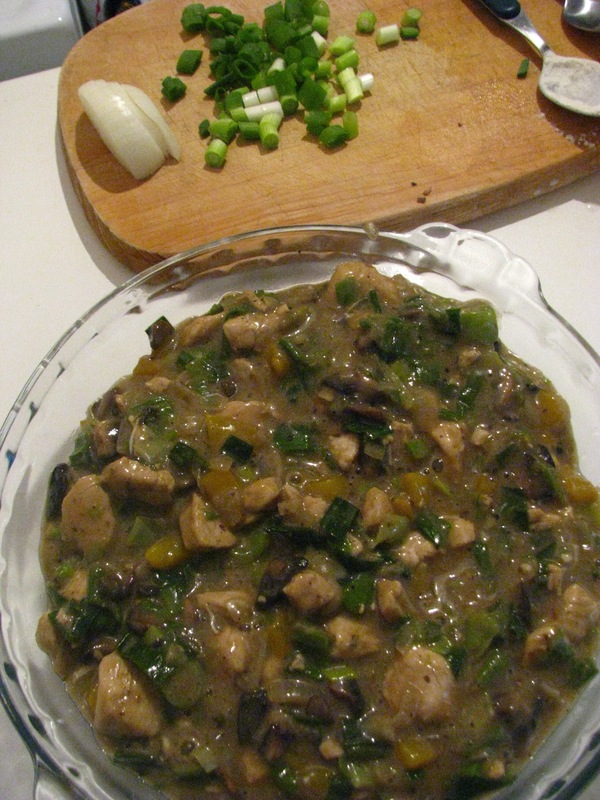 In a separate bowl, mix together the chicken and half the sauce. 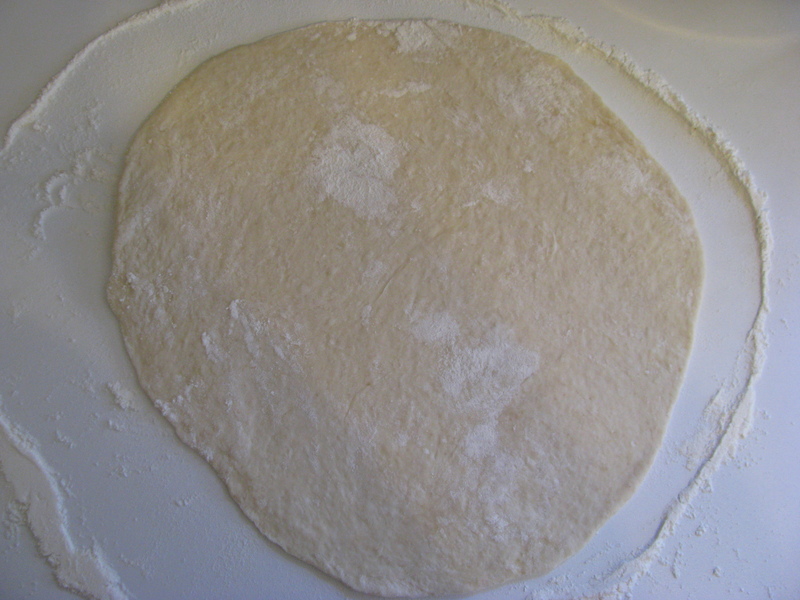 Lightly grease your pizza pan, roll out the dough to your desired thickness, and gently place the base in the pan. Drizzle the remainder of the sauce all over the pizza base, then add a layer of mozzerella cheese, chicken, purple onion, red pepper, and a dash of salt. Bake the pizza for about 25 minutes or until your desired brownness. 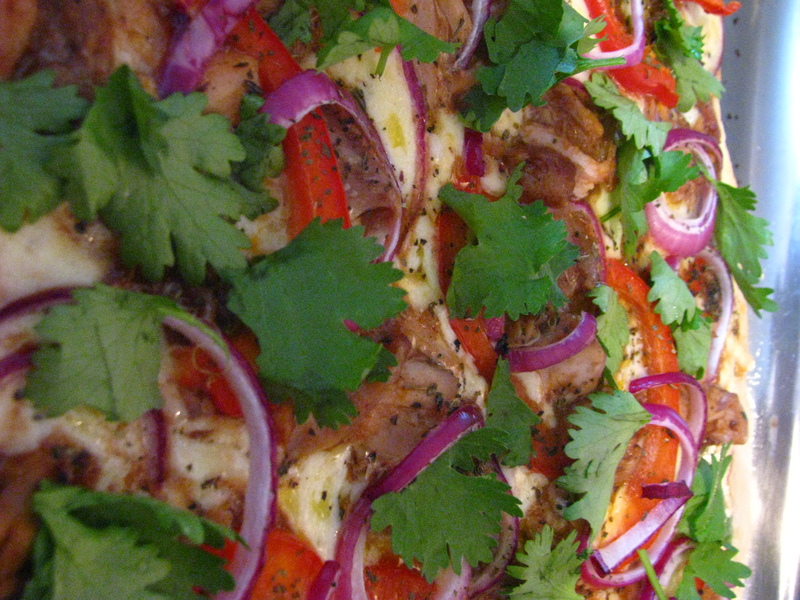 Remove the pizza from the oven and sprinkle a generous amount of fresh coriander all over the pizza and serve while still hot, or cold because nothin’s better than cold pizza for breakfast. 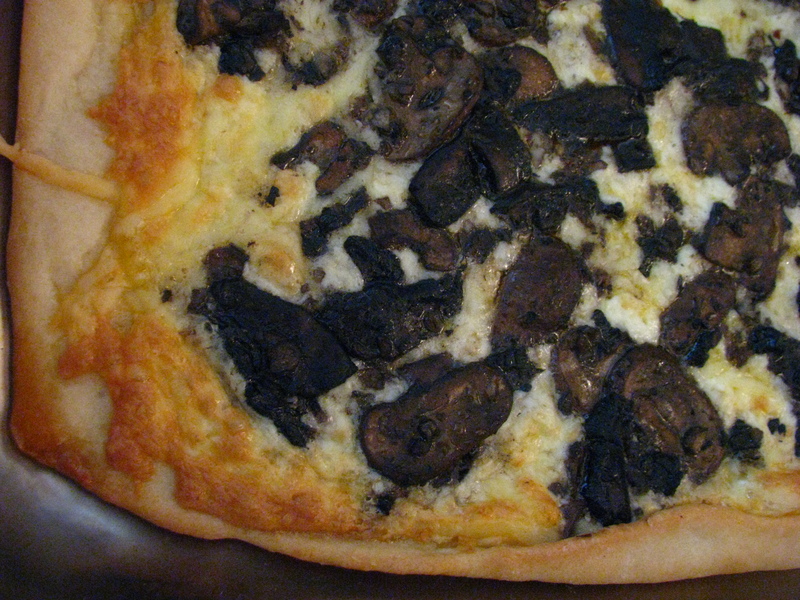 I also got a few ideas for Mushroom Garlic Pizza from Jamie Oliver and Rachel Ray but created a culmination of the two using my own personal pazazz. Preheat the oven to 180C. In a pan, mix together the EVO, garlic, chili flakes, salt, and pepper and saute on medium heat for about 3 to release the flavors. Add the mushrooms and paprika and cook until the mushrooms are brown and tender. 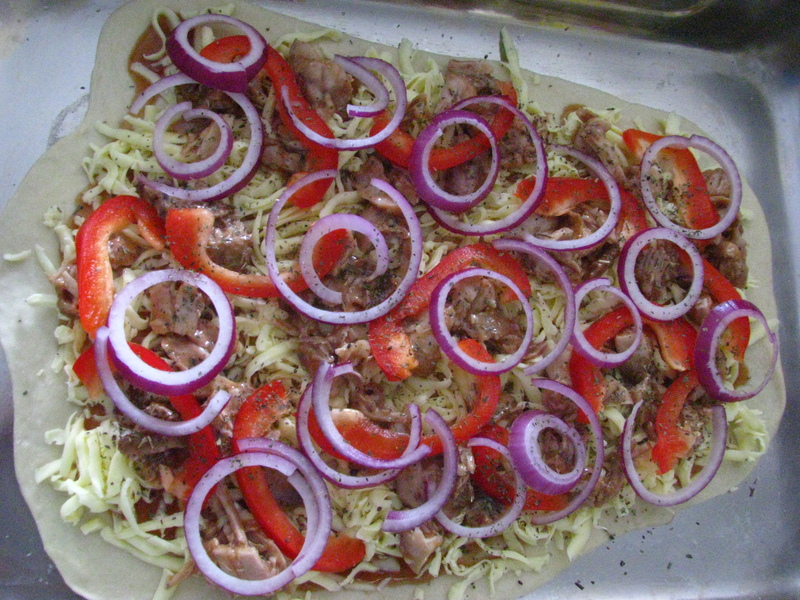 Lightly grease your pizza pan, roll out the dough to your desired thickness, and gently place the base in the pan. Add a layer of mozzarella, mushrooms, and drizzle the remaining garlic sauce on top (but do not add too much oil or else the pizza will become oily). Cook for about 25 minutes or until your desired brownness and top with rocket. 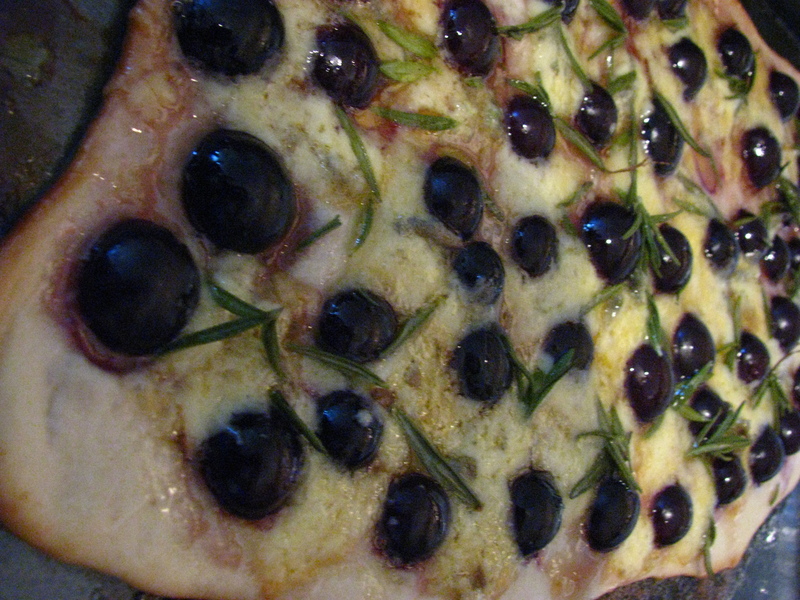 My dearest friend Renee introduced the Grape Pizza to me many years ago during University and it completely changed my perception that pizza is strictly a savory meal. 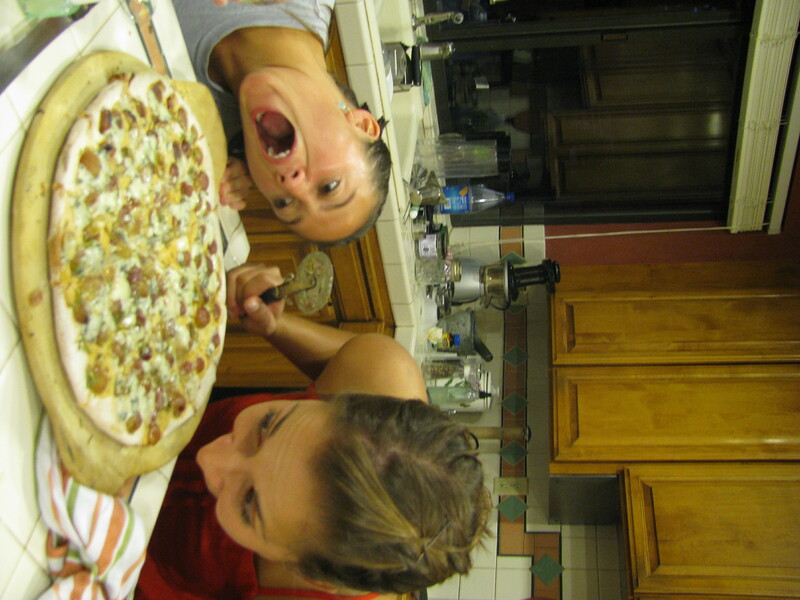 When I visited the US in August, Renee, Kate, and I had a reunion and of course made Grape Pizza and devoured every last piece. 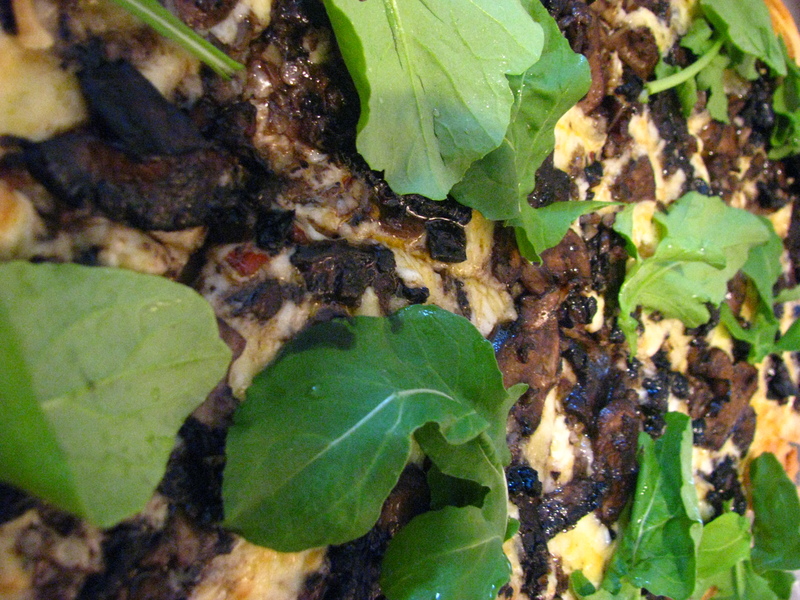 I wished to spread the love of Grape Pizza internationally, so made it for my garden party guests, and everyone was pleasantly surprised by the unique combination of sweet and savory flavors that produced an almost dessert-like pizza. Preheat the oven to 180C. Lightly grease a baking sheet or pizza pan, roll out the dough to your desired thickness, and gently place the base in the pan. Push the grapes gently into the dough facing downward and bake for about 10 minutes. Pull the pizza out and sprinkle gorgonzola, mozzarella (optional), and rosemary all over the pizza. Lastly, lightly drizzle honey all over. Place back in the oven for another 10-15 or until desired brownness.